Aid agencies says survivors, many left homeless by the 7.3 magnitude earthquake that struck villages and towns in a mountainous area bordering Iraq, are in dire need of food and water. At least 530 people were killed. And two whole villages were destroyed. One man descirbed what happened as the quake struck. One elderly survivor lost three members of his family including his son, daughter-in-law and grandchild. 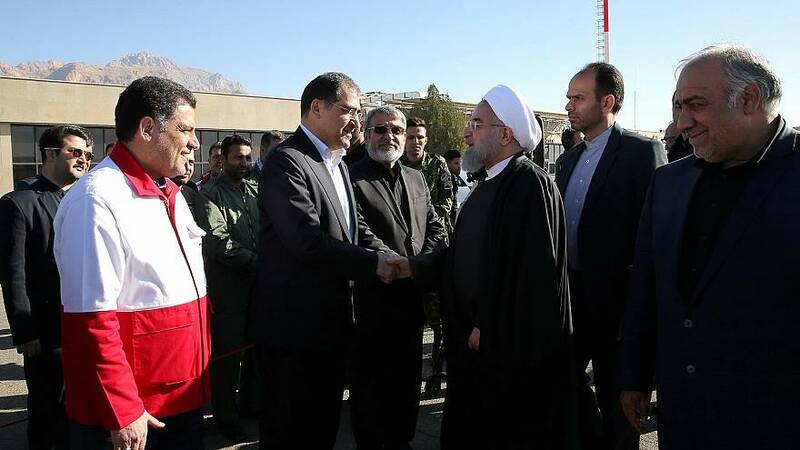 Iran’s President Hassan Rouhani has visited the area in Kermanshah province which was hardest hit by the quake. He promised the government would “use all its power to resolve the problems in the shortest time”. One city in Kermanshah saw the collapse of 80 percent of its buildings. Many were homes the government had built in recent years under an affordable housing programme. Meanwhile, thousands of people are huddled in makeshift camps with many others chosing to spend a second night in the open, despite temperatures just above freezing, over fears of fear of more tremors.